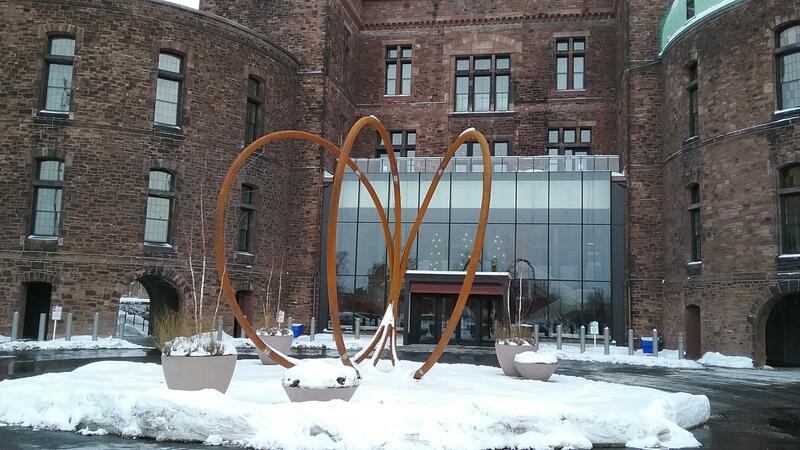 "Spirit of Buffalo" now graces the entrance to the H.H. Richardson building. The H.H. Richardson building at the Buffalo Psychiatric Center sat derelict for years until preservationists saved the Elmwood Avenue landmark and started turning around the vast structure. The latest addition is a giant new sculpture outside the entrance of what is now a hotel and soon-to-be architecture center. Artist Daniel Shafer is a Buffalo native. 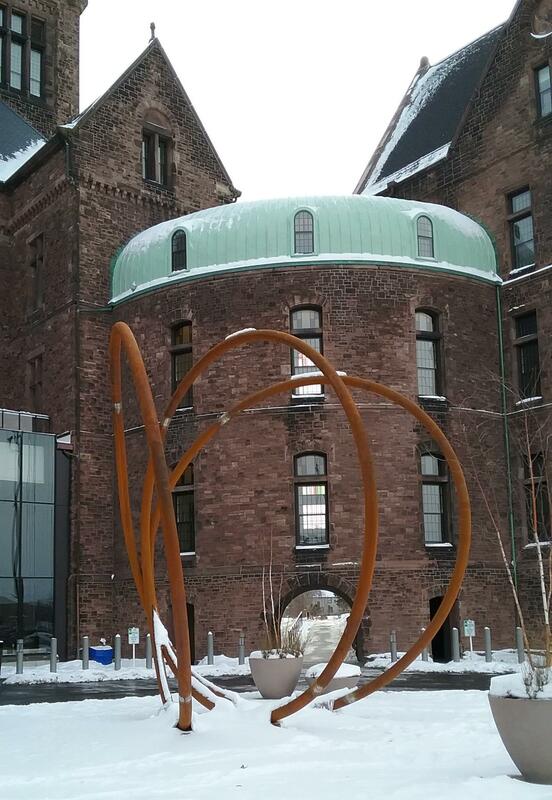 The giant series of rings from local artist Daniel Shafer is entitled "Spirit of Community" and was funded by the Buffalo Renaissance Foundation. Its metal stands out against the old stone of the landmark and against the new glass entrance to what is now Hotel Henry. Shafer, who spent 21 years studying and working overseas before returning to his native Buffalo, says planning was essential to the project. "There are a lot of considerations," he says. "It has to match, Number One, the site. I'm very happy that this was designed, site specific-wise, for this installation. You also have to match the budget. That's a constraint." Before the foundation gave the go-ahead for the latest addition to its "Spirit of Buffalo" art series, Shafer had to build a small-scale model to show what it would look like. "The maquette, the model was done by feel," says the Hutchinson Central Technical High School and University at Buffalo engineering graduate. "It was an 11-inch model. We scaled it up, using a computer, so a computer helps." "Spirit of Community" is the latest piece of artwork in a series called "Spirit of Buffalo," funded by the Buffalo Renaissance Foundation. He says the piece is so big, its winter installation included holes drilled several feet down into an underground steam tunnel and those holes were used to bolt the structure into its traffic circle. "I think construction workers are some of the greatest people, down to earth and you can talk to them," Shafer says. "They have a great sense of humor and they helped build this. It would not be possible without them." Inside, the final stages of preparation for the Lipsey Buffalo Architecture Center are underway. Interim Executive Director Molly Quackenbush says it will be a great cultural addition. 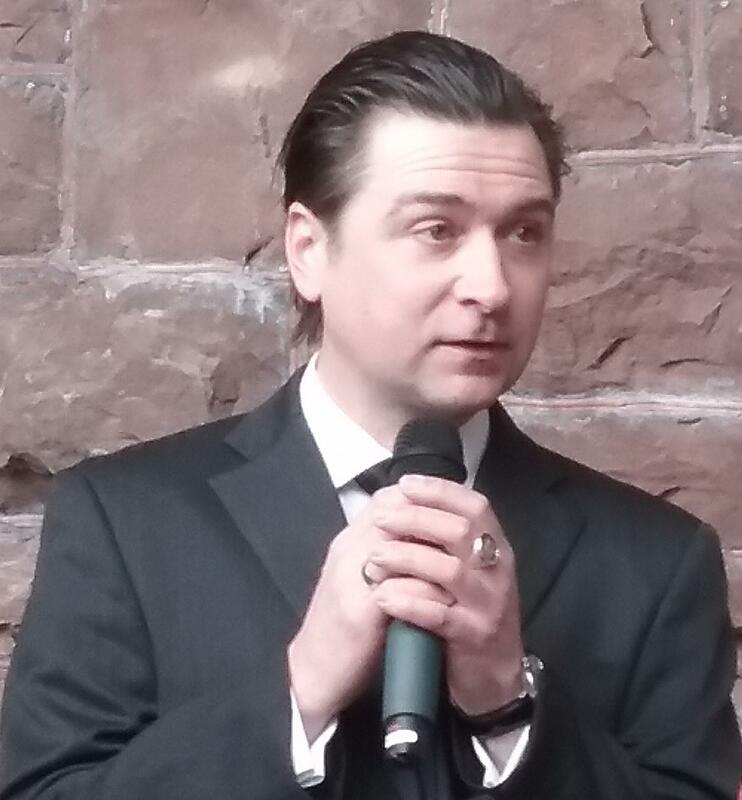 "Show you and tell you about what this new cultural center is going to be for Buffalo, for our region and as another part of making Buffalo a great cultural tourism destination," says Quackenbush. The site of a former hospital for the mentally ill will soon be reborn as a hotel and architecture musem and education center. Officials at the Richardson Olmsted Complex marked the completion Tuesday of a busy three-year stage of reconstruction. The Hotel Henry in the H.H. Richardson complex has been open for a few weeks now. 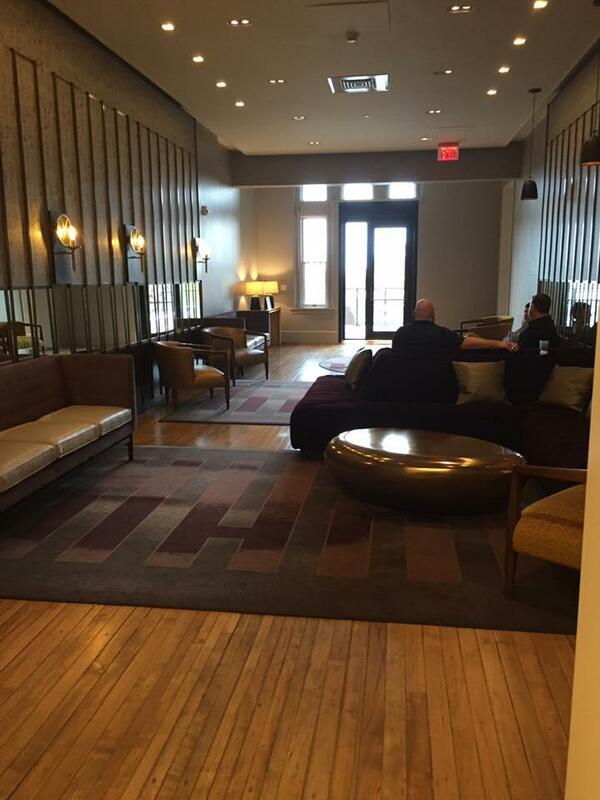 Buffalo Spree Editor Elizabeth Licata toured the hotel last week and posted some of the photos she took on her Facebook page. 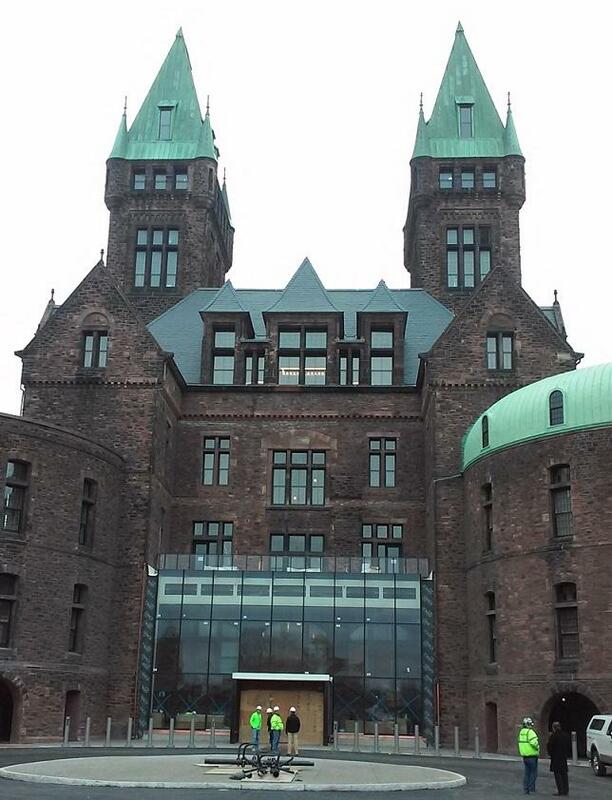 On this week's Press Pass with WBFO's Mark Scott, Elizabeth says the restored landmark is magnificent. The first phase of a restoration project beneath the towers of the Richardson Olmsted complex in Buffalo is underway. 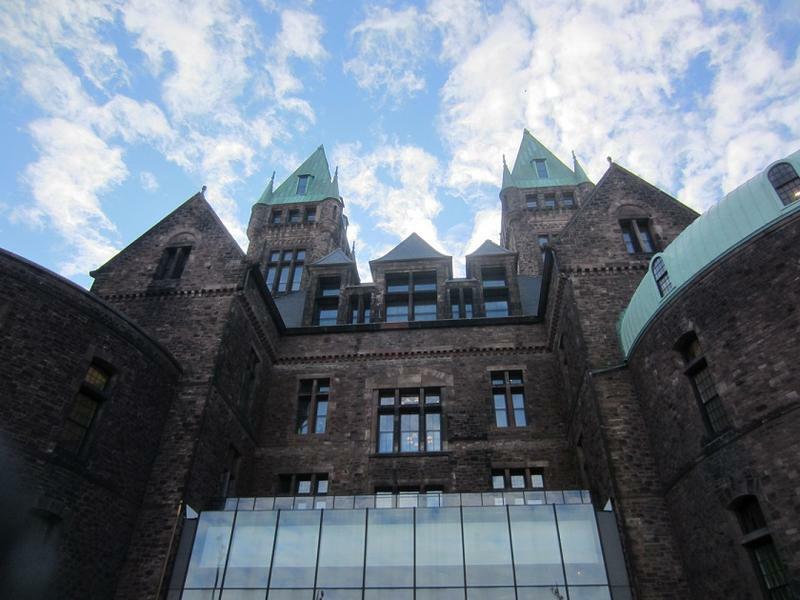 A $10 million dollar campaign to help fund that project has quickly found itself 50 percent closer to the goal, thanks to a gift by a recently deceased advocate for preserving many of Buffalo's architectural assets.